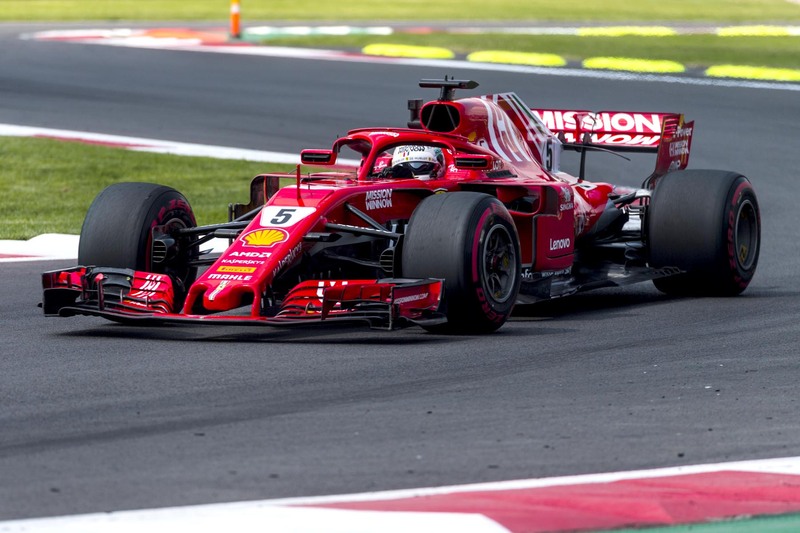 Sebastian Vettel was the fastest Ferrari driver in practice for the Mexican Grand Prix but could manage no faster than 1.2 seconds off the pace after a difficult Friday afternoon. FP2 produced some unusual results in Mexico City, with Red Bull Racing’s Max Verstappen leading the way from teammate Daniel Ricciardo and holding a massive 1.2-second advantage over the rest of the field. Renault’s Carlos Sainz delivered a shock of his own, finishing the day third, marginally ahead of Vettel’s Ferrari. The high-altitude environment of Mexico City means cars produce less downforce, which in turn causes more sliding. The lack of aerodynamic performance was the principal factor behind most teams’ struggles with the hypersoft tyre, the grippiest in Pirelli’s range, which suffered from heavy graining around the Autodromo Hermanos Rodriguez. Vettel said his team’s lack of understanding of the tyres in the unique conditions was the main reason behind his lack of pace relative to Red Bull Racing. “The difficulty is that you don’t have any grip, so we are sliding a lot,” he explained. “And the problem is if you don’t have a lot of grip and downforce because the air is so thin, you don’t get the tyres to work. When the tyres don’t work then it is really tricky. “That is why you can see sometimes quite big jumps in lap times. If you don’t get it right, you are quite far off the pace. Adding to Vettel’s woes is Ferrari’s continued struggles to understand where it went wrong in its development plan over the last several months. In the United States the Scuderia rolled back several updates and emerged with a quicker car that ultimately propelled Kimi Raikkonen to victory. This weekend in Mexico the team has brought new updates, but Vettel suggested the results of his tests during practice were less than promising. But he added that he felt there was still more to come from his rolled-back package before qualifying. “In the afternoon we focused more on preparing for quali and the race — the long run is not too bad, but for one lap we are struggling quite a bit to get the balance right and squeeze everything out of the tires. “Everybody still has something to step up tomorrow, but we will try pretty much to go as fast as we can.